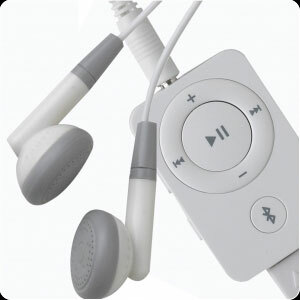 Gear4 BluEye is a special accessory meant for all the ipod users as it helps in providing endless connection between your mobile phone and your music gadget namely ipod. With Bluetooth remote control headphone system you can listen and enjoy your kind of tunes, make and receive calls and also you can listen radio. What’s more you can view the mobile numbers for an incoming call on your iPod screen ofcourse and make your decision whether to accept it or reject it. Also BluEye will pause your tunes and alert you when you receive any incoming call! It will alert you by a ‘beep’ in your headphones – no room for missing a call. There’s a powerful microphone too built into the BluEye, so there’s no need remove your headphones or go any where near your phone. Make and receive calls on your iPod. Plug’ n’ Play with most Bluetooth enabled mobile phones. Caller Number ID displayed on iPod screen. Automatically pause and resume music for incoming calls. Uses power from your iPod.